As I’ve mentioned in part 1, on a spiritual level, I don’t think I’ve benefitted from anything in my life as much as I have from dealing with CFS. One of the main blessings of having low (or nearly no) energy, is that it’s of paramount importance to set healthy boundaries. It’s a bit like having no money in the bank; you simply can’t afford to spend money on things you don’t really need if you’re nearly bankrupt. You have to look for ways to increase your income and at the same time drastically limit your expenses. So being energetically bankrupt, I had to learn to engage in activities that increased my energy and limit any activities that left me drained. When translated to everyday life, this meant I could only do those things that brought me joy and light. I could only meet people I resonated with, do the things I really loved and engage in activities that brought me joy. This even applied to my diet; I could only eat food that contained enough light to make me feel better. 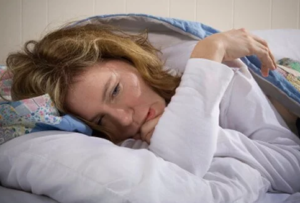 This mechanism of not being able to do things unless it brings you joy, is one of the main reasons that people suffering from CFS (or Fibromyalgia for that matter) often are called lazy or even liars. It’s because we seem to have the energy to engage in ‘the fun stuff’, but don’t have the stamina to engage in activities we don’t align with and therefore take up too much of our energy. In any case, in less than a year from the day I was diagnosed with CFS, I had eliminated everyone and everything out of my life that I felt was taking up too much of my energy. My life quickly changed from one that was filled with way too much responsibilities, people I didn’t resonate with, social activities I felt obligated to attend and a job I hadn’t been happy in for quite some time, to a life that is filled with people I love and who bring me joy, activities I love, a job that feels more like a hobby and food that nourishes both my body and my soul. CFS forced me to do what I hadn’t been able to do for myself; to let go of responsibilities that were never mine to begin with, surround myself with loving people, do what I absolutely love doing and to nourish myself with light-filled foods. In essence: to live the life I deserve to live. Would all of this have happened if I hadn’t become ill? I don’t think so, at least not at this unprecedented pace anyway. Now how is that for a life lesson?